Honolulu’s Chinatown has an interesting history and some of the island’s oldest buildings are located in this neighborhood. Do a self-guided walking tour through Chinatown to explore some of Honolulu’s oldest buildings and historic landmarks. Built in 1906, the McCandless Building was constructed with blue stone from the Mo’ili’ili and Kapalama quarries. It was one of Honolulu’s first modern office buildings, featuring a tile and marble entryway and a functioning basement (only a few buildings in Honolulu have this). The building was originally supposed to be a two-story building, but during its construction the plans were changed and instead it was built with four stories. A fifth story with a different architectural style was added in 1914. It was occupied by the Commercial Club, which later became the Chamber of Commerce. Harry Livingston Kerr designed the building for the McCandless brothers. In the late 1800s, James McCandless (and his brothers Lincoln and John) drilled artesian wells around the island to make water available for the arid sugar plantations on leeward Oahu. The brothers were part of the Committee of Safety, which was instrumental in the abrogation of Queen Lili’uokalani and the overthrow of the Hawaiian monarchy in 1893. Built of coral blocks in 1854 but since then covered with layers of stucco and plaster, the two-story Melchers Building is the oldest commercial structure in Honolulu. In its prime, it was finished with glass cabinets and koa wood shelves, which were stately furnishings for an office during this time. In 1973, it was placed on the National Register of Historic Places. The Melchers Building used to house the retail firm of Melchers and Reiner. The building’s style is 19th Century Commercial. Reverend John Diell established the Oahu Bethel Church in 1837 for the seamen who came to Honolulu between 1840 and 1870. The building was destroyed in a fire in 1886, but the following year George Lucas built a new two-story house which served as the office for The Friend, a church publication and the self-described “Oldest Newspaper West of the Rockies.” Bethel Street was named after the church. Joseph Mendonca was a businessman who invested in several properties around Chinatown. Mendonca was part of the Annexation Party’s Committee on Public Safety in the 1890s. Together with William Wilder, Samuel Dole and others, Mendonca seized the government offices at Ali’iolani Hale and moved to overthrow the Hawaiian monarchy, which also led to the imprisonment of Queen Lili’uokalani. After the devastating 17-day-long Chinatown fire in 1900, the Mendonca Block was one of the first major structures that began the rebuilding process. The Italianate-style brick building was completed in 1901. This building was one of the few that survived the big Chinatown fire in 1900 since it was one of the few made out of brick at the time. The Perry Block was built in 1889 by Anna Perry, the widow of the Portuguese consul Jason Perry. It housed the Lederer’s Bar until 1985 and then a police station for 10 years. In 1851, the Kingdom of Hawaii organized its own postal system. King Kamehameha V authorized the building of a post office, which was completed in 1871. It was built out of concrete blocks and iron bars, which back then was an experimental construction method in Europe and unheard of in Hawaii. It was the main Honolulu post office until 1922 and has once also housed the publishing and printing facilities of the Hawaiian Gazette, a driver’s education office and the Honolulu District Courts. The Renaissance Revival style building is the oldest reinforced concrete structure in America. Since 1993 it is occupied by the Kumu Kahua Theatre. If you stay on the island of Lanai you can enjoy world-class golf, horseback riding, swimming and snorkeling and much more. 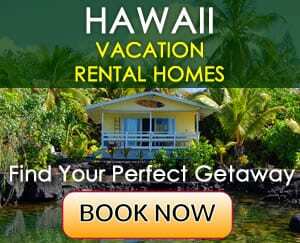 You can also take a half-day or a one-day private Lanai tour that will take you to some scenic and unique places on the island. We booked a half-day tour with Neal Rabaca Tours. Our day began at 9 am when our tour guide Bruce met us in front of the Koele Lodge (where we stayed at). After we introduced each other our tour began. On the way to our first stop The Garden of the Gods we were already impressed by the comprehensive knowledge Bruce had about the island of Lanai. We learned about Lanai’s pine trees, about Lanai’s pineapple history and the island’s people. When we arrived at the Garden of the Gods, Bruce took us to a scenic lookout point from where we could see the canyons of the garden all around and the islands of Maui and Molokai in the distance. Our guide showed us some interesting rock formations resembling figures and he gave us in-depth information about the stones and the area. After our Garden of the Gods visit we left for the northern part of the island to visit Shipwreck Beach. On the way, while driving on Keomoku Road, we learned about dramatic historic events that occurred in this area in 1778 when warriors of the king of the Big Island of Hawaii, Kalaniopu‘u, invaded Lanai and killed almost all of Lanai’s around 4,000 inhabitants. As we approached Shipwreck Beach we could see the Au‘au Channel that lies between the islands of Maui and Lanai. Once we got to Shipwreck Beach we walked on the beach and even saw a green sea turtle (honu). She did not seem shy and she let us take some pictures of her while sunbathing on the beach. We saw interesting lava rocks and stones on the beach as well. After we enjoyed some time on Shipwreck Beach we headed to our third stop – Munro Trail. Our guide drove very slowly because the dirt road has some rough areas. He also told us more about the plants and trees in the area. Finally we ended our tour with a drive through Lanai City. We saw some places of interest and after that we were dropped off at our hotel around lunch time.